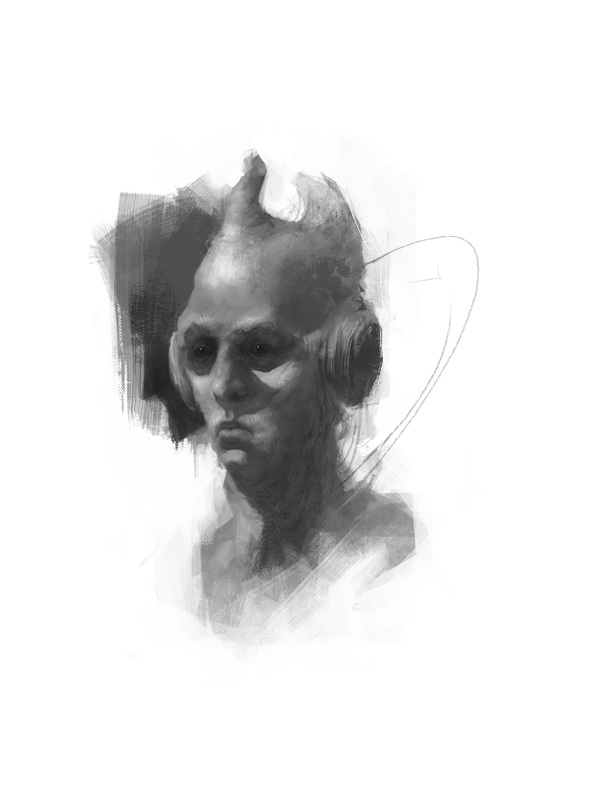 This term I thought it might be a good idea to take a digital painting class with Chris Legaspi. So far it has been great. I’ve never really painted characters so it was nice to see a good workflow to that. During class I did this 3 hour sketch. 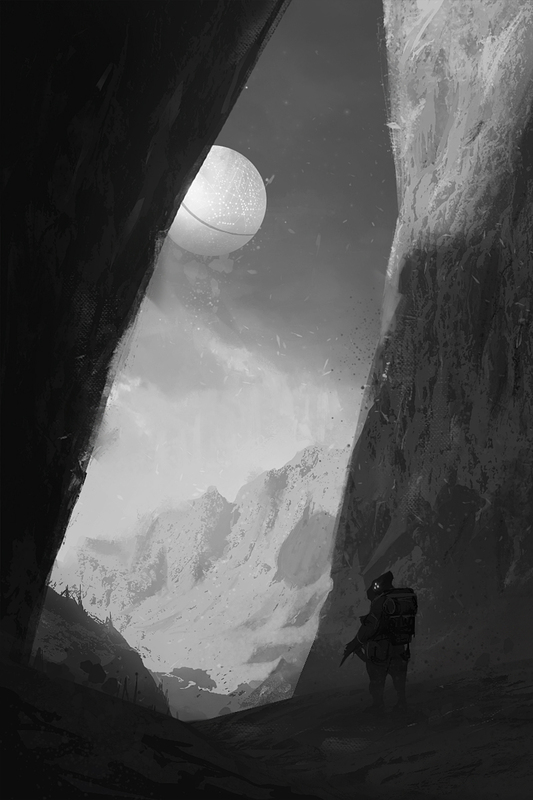 Our next assignment was to paint an alien environment of someone discovering some sort of an artifact. Next up, a redesign of an 80’s movie. 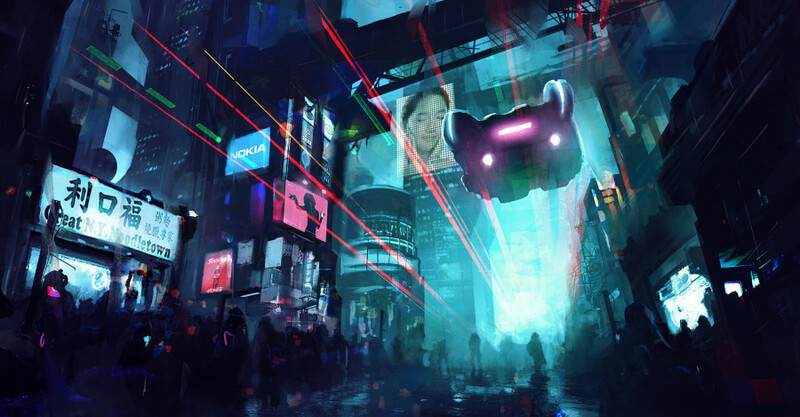 A possible key frame from Blade Runner. Shaddy Safadi has some amazing videos on his youtube channel. 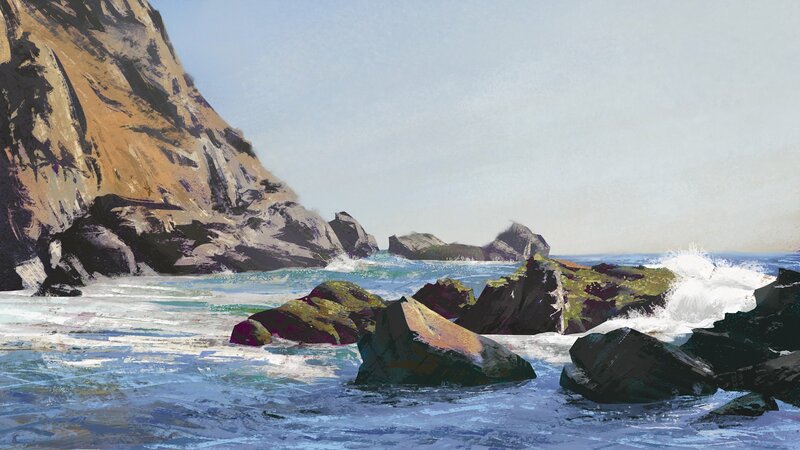 I tried to follow doing this landscape painting of a coast and I learned so much about colors and workflow. This week’s assignment: Redesign of an old game. I went with Castlevania and painted a possible boss battle. 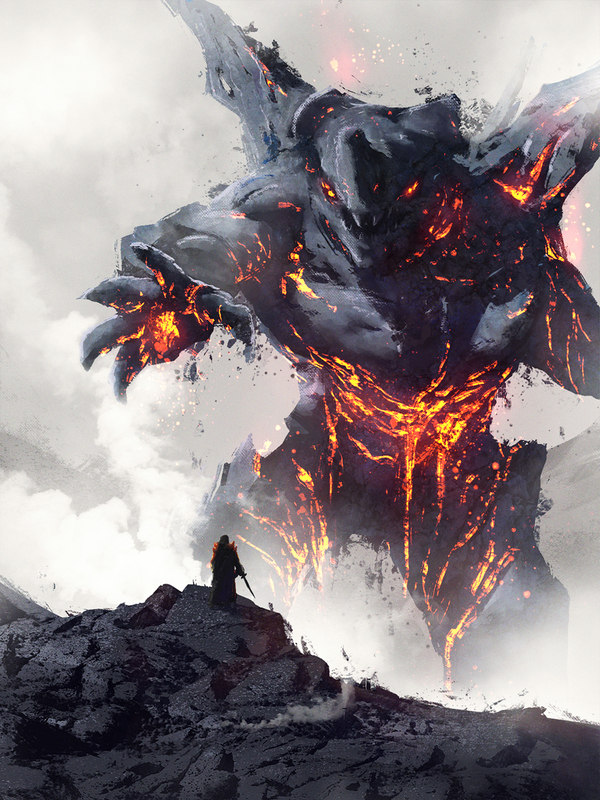 Our final assignment, a character or environment inspired by a mythological story. 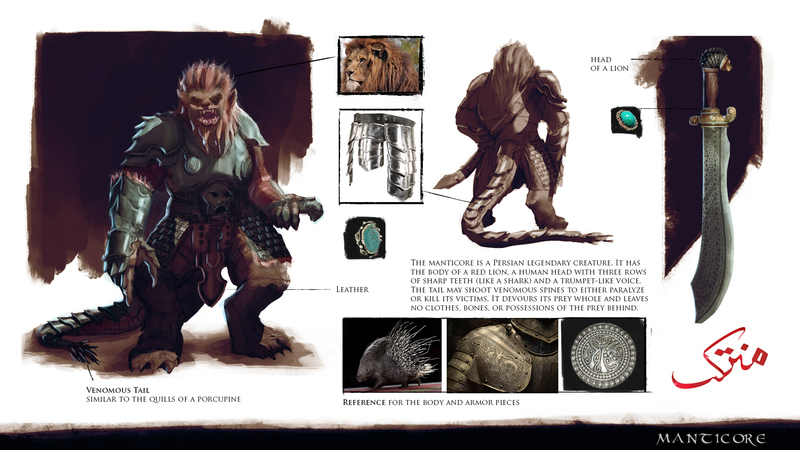 I chose the Manticore and created a character design sheet. The Manticore is a Persian legendary creature. It has the body of a lion and a head of a human with three rows of teeth. I took a different spin on it and drew him standing up.